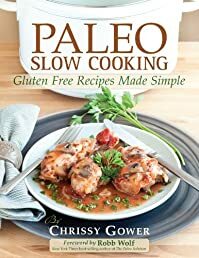 In Paleo Slow Cooking, Chrissy Gower shows you that cooking real food using a variety of vegetables, clean cuts of meat, and healthy fats does not have to be a complicated, boring, or time-consuming endeavor. In this real-food-made-easy guide, Gower teaches you how to prepare full-course paleo/primal entrees, soups, stews, breakfast dishes, and desserts. To make every meal more enjoyable, Gower also includes several quick and easy side dishes to go with your slow cooker meals. Paleo Slow Cooking is sure to win the hearts of every time-crunched individual or family that yearns to eat a healthier diet. Eating paleo has never been so easy or tasted so good!